Oh seltzer! Tasty bubble water of the gods. Once you’ve tickled your tongue with this crisp and refreshing remake of boring old water, you’ll never go back. Our march towards a franken-seltzer machine started innocently enough. In college (as our romanced was blossoming), Mrs. FW and I drank prodigious amounts of the cheapest diet soda we could get our hands on. It was really awful, off-brand stuff. Think diet strawberry shasta… and you’ll get the picture. This essential fuel for all-night study sessions cost us $4 for a 30 can flat. We’d easily go through a flat per week during peak study season. After college, being so mature and all, we quickly dialed back our soda consumption. But we missed the fizz! We were buying 2 liters of seltzer water occasionally, along with diet ginger ale. The reasons for diet ginger ale have been lost to the sands of time as I now think that stuff tastes weird even for diet soda. And, Mrs. FW was a known coke zero fiend. 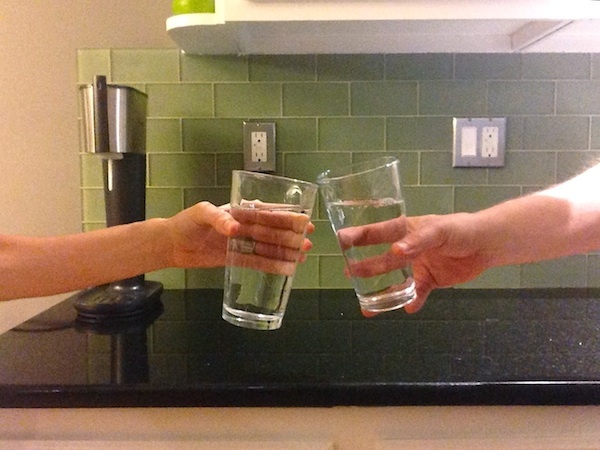 When we moved to Washington, DC, we quickly discovered that the tap water there tastes terrible (we later learned that it also likely contained lead… but that’s another story. Thanks DC!) We got a brita filter, but we also upped our seltzer consumption. We knew it was becoming a problem when it took more than a single trip from the car into the house to carry our stash of 2L seltzer bottles. Our recycling bin runneth over. One day I was browsing a favorite kitchen store in DC (Hill’s Kitchen, highly recommended!) and nearly stumbled over the sodastream display. I’d honestly never considered making our seltzer! The skies parted, angels sung, I texted Mrs. FW that I’d discovered the solution to all our problems, and I biked home with a sodastream machine strapped to my back. Time passes, seltzer is made. Things are good. Too good, actually… Looking at our monthly spending I began to realize that we were spending more on seltzer per month with the sodastream than with bottled seltzer. Why? We were drinking mammoth amounts every month. Our peak seltzer consumption had us going through 180L per month. We’ve stopped all other beverages (no juice or soda), and so seltzer had become our drink du jour. Think about that. 180 LITERS of seltzer. A standard American bathtub holds 150L of water. Mrs. FW and I drink more than a bathtub-full of seltzer every month! That’s 3 full sodastream canisters of CO2, at $15 a pop (!!). The sodastream allowed us to consume way more seltzer than we ever would have if we were buying it in 2L bottles. There’s no way in soda-hades that I’d schlep 90 bottles of seltzer from the grocery store! But if it’s just 3 little canisters… it seems much more reasonable. Now we love our seltzer. And ever since we started drinking it, we’ve been consuming way more water than we ever did before. We don’t add syrups or flavors, so it’s just water, but the cost, oh the cost! The concept of drinking a veritable river of seltzer a month isn’t bad, but the reality of spending $45/month or $540/year on bubbly water is sorta insane. Knowing this was unsustainable, I began a quest for solutions. Commercial seltzer guns are pretty awesome, but also come with an intense list of supporting equipment. I also saw that some folks completely did away with the sodastream machine and bottles and built a bicycle tube valve and 2L bottle contraption that looked neat… but certainly didn’t pass the “could I live with this in my kitchen?” test. Turns out, there’s a way to hook-up a big CO2 tank to a standard sodastream machine. But, is it legal to convert a sodastream to use a bigger CO2 tank? Well, sodastream works on the classic economic model pioneered by Gillette razor blades. They sell the machine for cheap and then make their money on the consumables (CO2 canisters). To protect their slightly ridiculous pricing monopoly on CO2 refills, they technically don’t “sell” the canisters to you. You are “licensing” them from the company. Weird huh? That allows sodastream to sue companies that build refilling and conversion kits (Wikipedia has a great explanation of the entire legal strategy). The legal risk seems to rest entirely with the seller of this equipment, leaving the buyer (me!) in the clear. Whew! Adapter, hose and pressure gauge. We bought ours several years ago from a now-defunct site, but these adaptor kits on ebay appear to be similar (UPDATED 1/25/19 with a new affiliate link). Step 1: Use a drill to open up a hole in the back of the sodastream tower. The hole has to be large enough to fit the smallest fitting on your line. 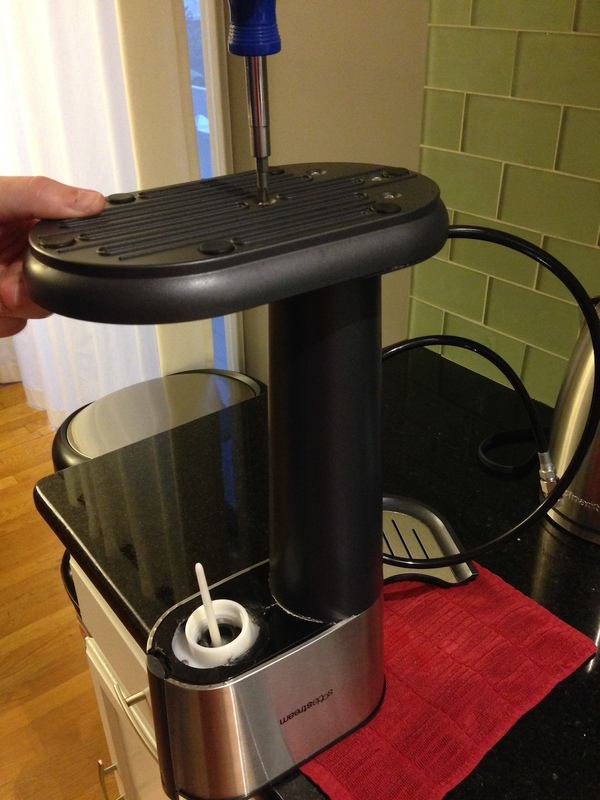 Step 2: I used a chisel to enlarge and clean-up the hole in the back of the sodastream. You don’t want the edges to be sharp as that could cut your CO2 line, which would = bad news. 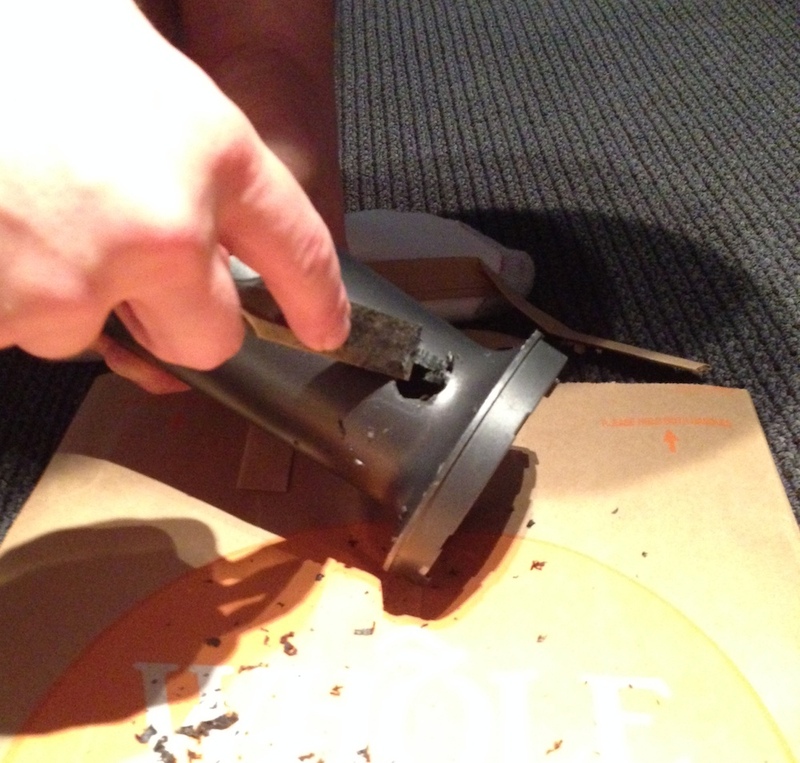 Step 3: The finished hole! That took all of 10 minutes to do. The hard stuff is over now! Just screw the bottom back on, making sure the CO2 line is gently curving out through the hole you gouged earlier. You want to make sure this is tight without destroying the threads. I used a small pipe wrench but you could also use a large crescent wrench. Just don’t torque it too hard. Once Mrs. FW positioned the trash and recycling bins back in their places, the tank blended in pretty well with our kitchen. The hose is obvious but has turned out to be a great conversation starter! The tank hides behind our trash and recycling bins quite nicely. But, how much is this going to save us? Daaayyyuummm. Can you say retail markup? The raw CO2 is nearly 10x cheaper! Winning! But remember, this system cost $253.10 (the 20lb CO2 tank cost $175.31, but includes $50 of consumable CO2 which I won’t count, so that’s $125.31). Thus, $253.10 of system cost / $38.45 of monthly savings = 6.5 months. In other words, after 6 months we’ll be saving money over the old system of sodastream canisters! $421.2 with our new tank. I am happy to spend $253 to save $2,467.80! Whoah. Does the seltzer taste the same? Yes. There’s no discernible difference to our palettes. We didn’t do a blind taste test or anything, but we sniffed and sipped that first glass pretty darned carefully! What does the pressure gauge tell you? It isn’t actually a good measure of how much CO2 is left in the tank. Why? The tank is mostly filled with liquid CO2. At the very top of the tank is the “air space” of gaseous CO2 above the level of the liquid. As you release the gas from the top of the tank, the pressure in the tank decreases. This decrease in pressure causes some of the liquid to change to gas, bringing the pressure back up to normal. The takeaway is that the pressure shown on the gauge will stay roughly the same as the liquid CO2 is used up. Once the liquid is gone, the pressure will rapidly decrease. That’s the indication that the tank needs to be swapped. Why did you get such a long CO2 line? When I ordered the line and fittings, I wasn’t sure what size CO2 tank I wanted. If I’d gotten a 5lb or 10lb tank, I would have needed that extra length since they are much shorter. I don’t mind the line and Mrs. FW kindly tolerates it. Am I going to blow myself up? Probably not? CO2 isn’t flammable, but even an inert gas pressurized to over 800 PSI is nothing to be cavalier about. As long as you don’t knock the stem off the tank (don’t drop it!) you’ll be fine. Update: check out how our system is doing a year later and find out how we’re now saving even more on our hacked seltzer costs in The Great Homemade Seltzer Discovery of 2015! Any other questions? Fire away and I’ll do my best to help! Hey Thanks! I love tinkering with stuff AND bubbly water… so this project hit all the buttons! I love seltzer water too, but have always feared that if I make it myself that it will only disappoint me by lacking the fizzies that I love so much. I have just determined that it is a “splurge” in our home and when it is crazy on sale, then I stock up on it. Otherwise, we drink New York’s finest everyday. I’d say the sodastream makes water that is as fizzy as normal bottled seltzer or club soda you’d buy from the store. Of course, at the end of the day the taste is just your normal tap water… so that could be an issue. In DC we used filtered water, here we go straight from the tap. Tastes darned good! Can you hook it up to 5 gallon dispensers of distilled water from bottled water companies? Love your idea. I thought I was the only seltzer water addict. Hi Diane! Since pressurized CO2 is nothing to tussle with, I’d stick with bottles meant for holding a pressurized and carbonated liquid, like the sodastream bottles. I definitely do not think you’d see good results from trying to carbonate a 5 gallon water jug. You could fill the Sodastream water bottle from one of those water coolers and save time compared to putting it in the fridge with tapwater. Interesting. I use gas cylinders on a daily basis, and the lack of a wall clamp makes me cringe, especially with a dog around. I’ll be honest, I’m surprised you could buy a CO2 cylinder easily, because I remember needing it for an experiment once (lab grade, not “edible-grade”) and it being a bit of a hubba-baloo to get it. Looks like you’ve definitely made a great investment into your seltzer addiction. But I still say, get a clamp!!! Those things turn into rockets if you knock the stem off them (like you linked to). Unlikely, but still a slightly scary thought. PS, if they’re concerned about the proper threading and tightness on the regulator adaptor, throw some Telfon tape on the male end of the pipe-fitting. You are totally right, of course 🙂 One of my hobbies is welding and metal fabrication so I’ve sat through safety briefings gas tank safety. I should know better! What line of work brings you into contact with gas cylinders on a regular basis? Heh, yeah. It’s irrational, I know, but every time I need to replace a cylinder on an oxy-acetylene rig I am always extremely tentative. Gas under pressure is gas under pressure… but something about moving a 300CF tank of flammable gas is just that much more terrifying. But then it’s super fun to cut through 2 inch steel like butter! well, then you can surely tell me, if they discharged the tank in their room would it displace enough air to be a problem? anyway, please don’t open the tank up to the room. CO2 isn’t poisonous but if the room were small enough and the tank big enough you would be deprived of oxygen. I have a small soda stream that uses a 410 gram CO2 bottle. It’s costing me $15 to refill and I’m trying to figure out a less expensive solution. I have a 5 lb CO2 cannister attached to a regulator and a 3- line manifold (I use it to keg carbonate homebrew) that routes to plastic tubing. Every time I exhaust a cylinder, I stare curiously at the brass fitting on the small CO2 cannister. Since I’ve drained the last little bit of gas from the bottle, what would happen if I clamped it in a vice and took a wrench to the fitting? Seems to me like I could remove the fitting and then connect it to one of the tubing lines that connect to my CO2 manifold. Then, instead of paying 15 for less than a pound of CO2, I could pay about the same amount for 5 pounds of CO2 (I think that’s the going rate at my local home brew store). Your “rocket” comment scared me away last year, but my money-saving lust is stirring again. This is cool and something that seltzer lovers should set up in their home. I drink it on occasion, just not enough to warrant this DIY set up. I will consider doing it on one of my days off in retirement. Thanks. If you drink enough of the fizzy stuff it can really pay off! CO2 isn’t exactly perishable either. So even if it takes you a couple of years to use up a single bottle then you still will likely come out ahead. Awesome contraption! This really shows that if you’re creative you can have almost anything you want without spending large amounts of money on it. Hah. Seltzer, club soda, soda water, sparkling water, eau minérale… many words for bubbly water! It really is a case where DIY is a huge savings. I feel dumb for not doing it earlier! A very creative modification to the Soda Stream. I can drink club soda by itself, so I think your seltzer water idea is a good one. Thanks for the detailed information. Glad it was interesting! Thanks for stopping by! Woohoo! There is a certain freedom in knowing that your favorite fizzy water is now nearly free… It’s not hard to do! Nice! I would love to do this, because it seems our canister always needs a refill, but we don’t consumer nearly as much seltzer as would be necessary to justify the cost. I admire your resourcefulness! OK, 180 liters a month is truly insane. Like, unimaginable for me. Isn’t that 18 sodastream bottles every day? Were they taking up your whole fridge? You definitely needed this addition. Also, I think I see a motion sensor garbage can. It’s awesome, right? I wave my hand in front of every garbage can by accident now. Yes, it is a motion sensor trash can! Years ago, when we were in the market for a trash can, it was the same price for that one or another with a foot pedal. Any time I get the chance to choose Robot vs. No Robot… I’m always going to pick Robot! Great job. Most CO2 canisters like hat are used by restaurants and bars for this soda machine, so all should be well. That’s a _really_ great idea! I can’t believe I didn’t think of that. I don’t claim to be a big fan of seltzer water, but I am truly impressed with your efforts! We all have our vices 😉 Thanks for stopping by! Wow, y’all have seriously impressed me with this! I also love seltzer, but usually just drink the tap water here in Nashville. I drink an obscene amount of seltzer. I’m forwarding this post to the bf as we speak to see if he can rig us up one of these. I’ve always been curious about the soda stream, but the CO2 cost was what was holding me back. Now that I know we can source that at a reasonable cost, I’m going to have to have to give this a go. Good stuff and thanks for sharing! Woohooo! Finally another person who understands our seltzer addiction! Feel free to hit me up with questions as you look into it. Per usual, I researched the options nearly to death before actually going for it. Glad you found it useful! Let me know how it turns out! This is pretty impressive. I would have no use for it, though, since I don’t ever use/consume seltzer. Thanks! 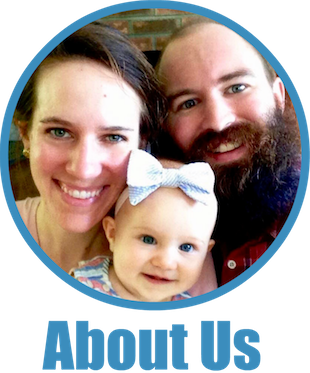 I’m a big believer in optimizing every day things, and for us this was a big one! Wow! You guys are serious about your seltzer =) Glad you found a way to save! I’m not a big fan of sparkling water, but I can totally feel your addiction to something! Awesome that you’re able to cut costs and still enjoy it with the same amount! Hah, yeah. I once was addicted to Diet Coke so I think this is better for my health and wallet! Holy crap! That’s pretty intense. I don’t drink much soda, and my wife gets it free from work, so I’m rarely buying it. She’s good with her filtered water, but this is brilliant. My main addiction is those little squirt bottle water enhancer things. I’m working on a way right now to lower the cost, but at around $10/month with some nifty couponing, it hasn’t made the way to the top of the list. Very impressed brother. Thanks! One of the things we do when we’re craving something that doesn’t taste like water is to squeeze some lime into the seltzer. We get a 5lb bag of limes from costco every once in a while and they last forever! Very inventive and I must confess, I did not see this post coming. Does Frugalhound drink the leaded DC water or is she on spritzers too? Do you replace the sodastream water bottles every couple years like they recommend? I’m wondering how necessary it is to replace them. We haven’t replaced the bottles yet, but we’ve only had them for 3 years or so. We never put anything other than water in them, and we give them a regular thorough washing. We’ve also never put them in the dishwasher. They seem basically like new. The failure case here is that the bottle would explode when carbonating. I’m sure it would be quite the adrenaline rush, but the pressure’s we’re talking about are just not that large. I’m not worried. I’ve had my Soda Stream for at least eight years – longer I think, but… While I have not used it to the extent Mr. Frugalwoods has I have yet to have a bottle blowup, even when I hooked it up to a 15lb tank with a Garbenstangel monstrosity of piping and valves. The bottle was blown off the valve by the over pressure, but didn’t break. When I cleared out my meshugena concoction and returned the system to normal, it worked fine and has in the years since. Nice! I like the way you were able to nest the tank behind the sodastream machine. Looks good! Love you for this. I just craigslisted a soda stream $15….. had this idea and thank google, there ya were. Glad we could help out :). The system has worked out great for us! Seltzer Addict here too. I can’t drink regular water either now. Just bought the SodaStream but I cant get a strong fizz – I’ll figure it out. I love what you did and the money you save but I have none of these skills to do this. :). (ps I love the bean and rice dish/recipe) thanks! To get more fizz, you can try just pulling the lever a few extra times–the more you gas the water, the fizzier it gets. Glad to hear you liked the rice and beans dish :)! Are you getting the water good and cold before trying to fizz it? The first time we used our Sodastream, it came out flattish, and then we read the documentation…it worked a lot better with the water really cold. Avrilla, Thanks for the tip about the cold water. I will try that!! i had this issue too. it was our hard water in Texas. i used the filtered water from the fridge and, voila. super fizzy water. I’m just now starting to do keg carbonation for my home brew. I also own a soda stream and have eyes on letting the CO2 bottle serve double duty. I’m curious as to why I need the $127 FreedomOne unit. Isn’t there a simple brass fitting that would thread into the soda stream? I stopped at my local plumbing store on the way to work this morning and they had no solutions. I actually took the soda stream refill bottle in with me so that they could maybe match the thread pattern. It occurred to me on the way in that maybe I could just remove the fitting that seems to be threaded on to the little 14 oz CO2 bottle and use that as my fitting. It’s empty, so the “rocket” scenario discussed above seems unlikely. I’m not sure what I’d find once I remove it from the cylinder, but it seems like whatever it is might be capable of mating to the tubing I use to attach to my beer kegs. Any suggestions or comments welcome. Hey Paul, I would love to know how your hack went? 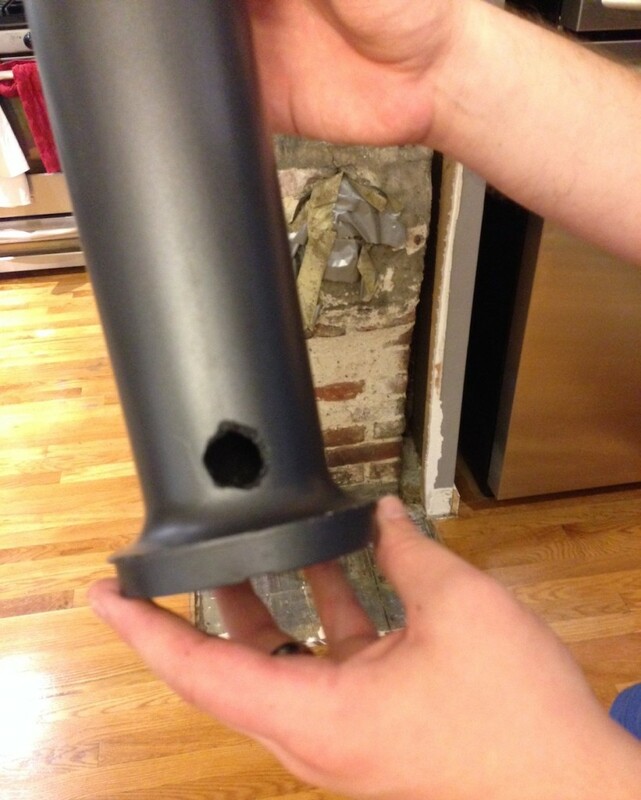 I am very frustrated with trying to find a good reliable Sodastream tank hack. I am looking at the thriftyscrimper hack, but thrifty it is NOT ($100 for the adapter) Still, I can switch out the 5 lb tanks near my house for $35 (prices are going UP!) This has been a multi year bit of sporadic research. 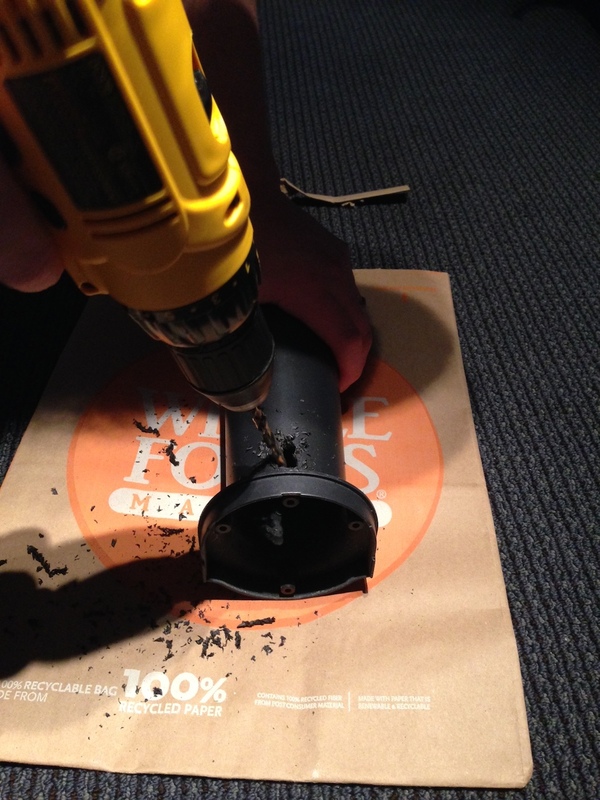 Were you able to create an adapter from the original sodastream co2 canister? Unfortunately no. I was strongly encouraged to leave the fitting alone. Stories of CO2 cannisters turning into a rockets were successful at turning me away. Arvila – Thank you for the cold water tip – I did not read the instructions as I should. It worked great and now I have lots of fizz. Al, I’ll have to try filtered water too – perhaps that will make it even better. 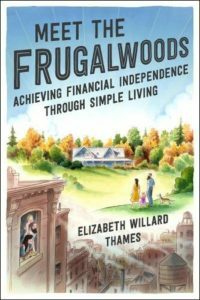 It still would be nice to have the Frugalwoods set up. Happy New Year everyone. Oh, one more thing: Our house with a basement under the kitchen had no room for the tank so we bought a longer – and slightly more expensive – high pressure tube from you know who and now the tank sits in the basement. There is virtually no line visible as it sneaks behind the Sodastream counter down through a tiny hole into the basement. Nice! Great article, the economics bit at the end inspired me to pursue this option. Thanks! 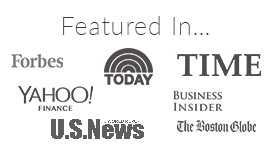 Great article, thank you for sharing. Now a question about the set up hose. I’ve just completed a mod with a fresh 10 lb Co2 tank hooked up direct to my Source unit. Do you open up your tank all the way? How far do you turn the knob control? Do you keep it open all the time or shut it off when you are done? While the first bottle was filled fine with the CO2 … a subsequent attempt that same night found no pressure in the line. I had left the tank open between bottles. I turned the knob about 1 or 2 turns … not fully opening it up. I have a 20 lbs tank and a SodaStream Play. I’m using the freedom one+ hose with pressure gauge and it is just not working. When I first press the button I get a long stream of co2 but after that while the same bottle is hooked up I get less and less until just a tiny little trickle of co2 is coming out. I have bought a pressure regulator but it is going to take a while to figure out what thread and screw size it is in order to adapt it into the line. Once I do adapt it I may give a better review but as of right now it doesn’t work well with my setup. Hi Ian, similar experience here hence my question. I will open and close the CO2 tank manually to alleviate my own fears of leakage. I too have found that the first bottle works fine but subsequent / consecutive attempts lead to lower pressure. The first liter is great. The second is less so. I have read somewhere that the liquid C02 may take time to transition to gas … within the tank. So I can get 2 useful bottles out of it … but I then have to step back … wait a bit before it is ready to go again. I have not been in a position where I needed to make 3 or more bottles at any one time. I got mine to work. I use a 400 psi pressure regulator I got from amazon for about 60 dollars. It required a cga 320 adaptor which was also on amazon for less than 10 dollars. 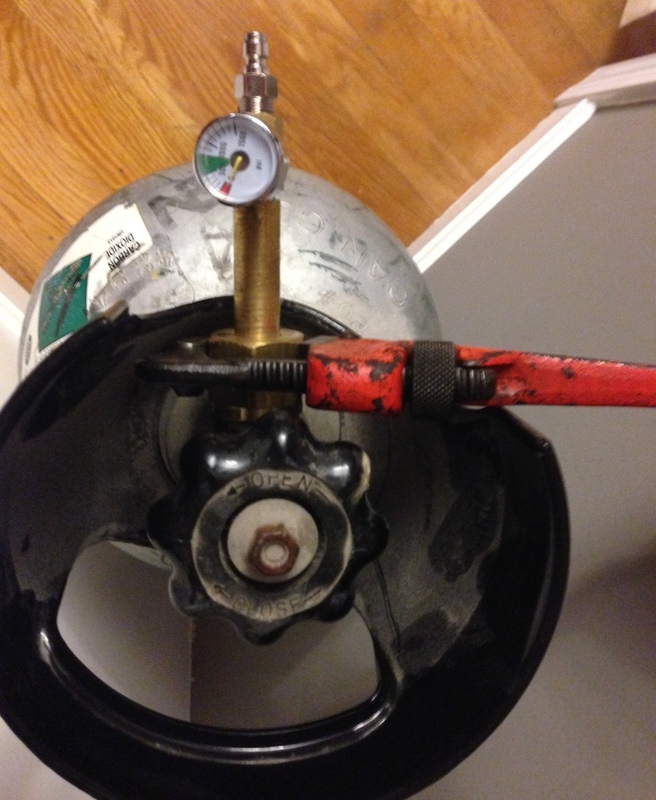 I removed the flare from the bottom used to attach hoses for beer kegs and what not and put in an adaptor I got from granger which was something like 3/8″ npt(national pipe thread taper) and brought that to the quick disconnect(about 1/8″ npt). Works like a charm now at about 380 psi. The current pressure gauge says the 20 lbs tank is at over 1000 psi which would not work default to the soda stream as it must be reduced. I will tell you not to try and go with anything less than 200 psi and probably not above 500 psi or the sodastream will seize up and not function properly. I don’t remember the exact size of the quick connect, or the female size of the bottom of the regulator but if you have something like a Grainger (https://www.grainger.com/) locally then you can go there with the regulator and quick connect and get the adaptor you need. Thanks for this info. I am having similar issues with the freedom one, and I’m trying to make sense of it. As far as I understand it, any CO2 tank is going to be 800 psi, give or take. The SodaStream, as far as I understand, is supposed to do all of the regulation and venting, so there should be no need for an additional regulator. With that said, I am wondering why some of us are having issues, and some are not. Is it because of the different SodaStream models, or a different in tanks? There are no leaks in my system. Before I bought a 20lb tank and freedom one, I was using a 24oz paintball tank with just the brass adapter with no issues. I know it does have the adjustment screw, so that is one difference, and I’m wondering if there needs to be an adjustment. When I try to carbonate with the 20lb tank, it initially works ok, but then “clogs up” and it seems like it’s spitting some liquid CO2 out. Another thing to note., is that there seems to be a machine/chemical smell coming from the freedom one, so I’m pretty sure I got cheap, non-food-grade materials. Yuck. I will be replacing the hose with food grade material before I use it any more. I don’t mind buying a regulator to fix this, since I’ll eventually be kegging my carbonated water… but I’m very curious as to why it’s not working in its current state. I was using a 20 lb. tank with a Co2 Doctor adapter and everything was working great for a couple years until one of my bottles exploded as well as something in my Sodastream. Now I am on to my next Sodastream and will install a regulator on my tank as I suspect that the 20 lb. tank’s pressure was too high for the regulator in the Sodastream. I wish I could find out at what pressure that pre-filled Sodastream canisters are filled so I know at what PSI to set my regulator . . . any thoughts? Well I explained in my earlier comment that the sodastream will not work at normal pressure. Mine says its at 1000 psi. It must be reduced through pressure regulation. I would take it to 400 psi and you should be fine. The paintball tank probably had a lot less psi. The sodastream does venting and regulation but its not the best unless you are using small tanks. I listed the equipment you need. Just buy that stuff and you will be set. Note: This is not guaranteed correct. It is just an example of what you need. Something like that adapter should fix you right up if you have a freedom one+ hose. But you should go to your local hardware store that sells npt thread reducers and buy the correct size one you need. Just bring all the equipment you will need to test it. It should be the regulator to the quick disconnect fitting. After doing a lot of reading and testing, my issue ended up being the tank. It appears that I was given an unlabeled siphon tank, that was spitting out liquid cO2. I exchanged it, had them test the tank on site, and it was good. Same thing could happen if a tank was overfilled.. but then you could just purge until the level was down to where it should be. It could also happen if you are transporting a tank horizontally, and don’t wait long enough before using it (at least 15 minutes). I diagnosed my tank by weighing the tank, subtracting the Tare Weight (should be on the tank labeled TW), and comparing that to the rated cO2 weight of the tank. In my case, I was at 15 pounds, so overfilling wasn’t the issue. The next thing I did was open the valve of the tank without anything connected (VERY VERY carefully and just a tiny bit). Don’t do this if you don’t know what you’re doing as it could fall and start spinning/waste cO2, etc. When I did this, there was a little bit of “snow” coming out of the tank. Because the weight of the tank was within spec, the tank had been sitting verticle for at least 15 minutes, and it was spitting snow when slightly opening the valve told me this was siphon tank, even though there was no siphon label to be found. As far as pressure, any cO2 tank is going to be in the same range of around 800psi, give or tank. 1000 sounds high, and I wouldn’t expect it to be that high unless it was overfilled, or the temperature was higher than it should be (sitting out in the sun). I don’t think the sodastream would work as well at 400 psi considering it was built to work at around 800. With all of that said, I think I’ll leave the valve closed when I’m not using it. I have dogs that I leave in my kitchen, and also wouldn’t want to waste 20 pounds of cO2 if the sodastream didn’t hold, because it does happen, regardless of the size of the tank. Looks like I’m all set for soda water for the next year or so. Cheers! OMG, we are still in the bottled fizzy mineral water phase. And we live in a two-bedroom apt. so we can only have so many liters stored at a time. I have not wanted to invest in the sodastream because the canisters are costly. We are going to do THIS. So excited. Thanks. I emailed my local welding supply store about CO2 tanks. 80 cf steel tank with 25 lbs of CO2 for $125. Refills are only $12. Seems like a steal! Now I just need to figure out the modifications and which hoses to buy. You may want to remove the link to C02 Doctor. I ordered a Freedom One and never received it. Emails to the company went unanswered so I went to dispute resolution with Paypal and hopefully I will get a refund. Meanwhile, I did some more research and found A LOT of complaints about this seller, which I obviously wish I’d done sooner. I really like your blog so I blindly trusted the seller. That’s on me, but I thought you should know about it since you are essentially advertising for them. Thank you so much for letting us know!! I’ve removed the link to C02 Doctor and added a link to an adaptor on Amazon that appears to be the same thing. I’m really sorry you had to go through that issue! I hope you have cheap bubbly water in your life soon! The new Amazon link is dead for me now as well. Do you see any other similar ones? My wife and kids are addicts also. We have a sodastream and I did a similar hack to it to save some money. I bought an adapter that could convert the SS to use paintball CO2 canisters. The canisters are about the same size as a SS canister, so no surgery to the housing. And the canisters can be filled at sorting goods stores for about $3-4. It saved us a ton of money. Total for the adapter and canister was about $40-50, I forgot. But we’re lazy about continually going to the store to refill the canister, so we may upgrade to this. Ohhh this is exactly what I need in my life! However the Amazon link says “out of stock”- do you have any suggestions on somewhere else to find it? I’m terrified of buying the wrong thing! What can I do frugally if I like flavor in my seltzer? I use 100% juice and just add a splash. 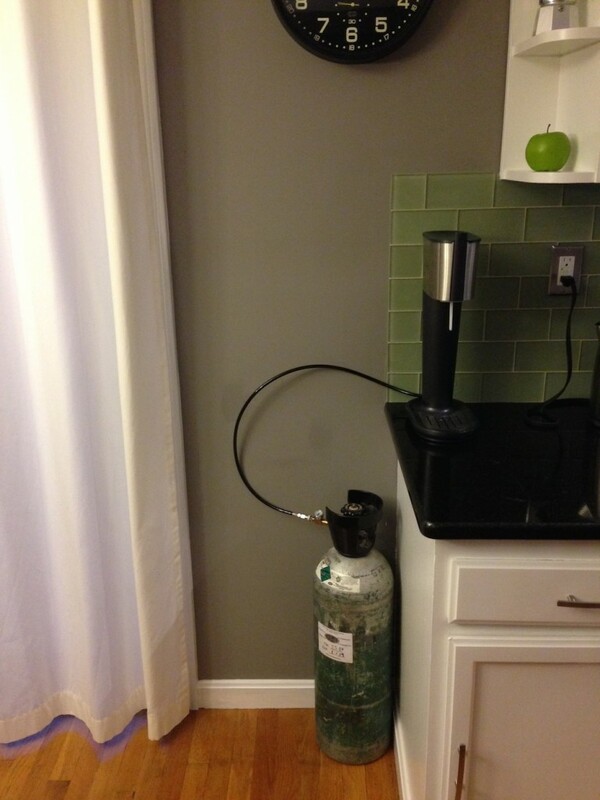 I already have a 20lb tank, hose, pressure gauge, etc for our kegerator. Do you know what kind of fitting is needed to hook the tank up to soda stream? 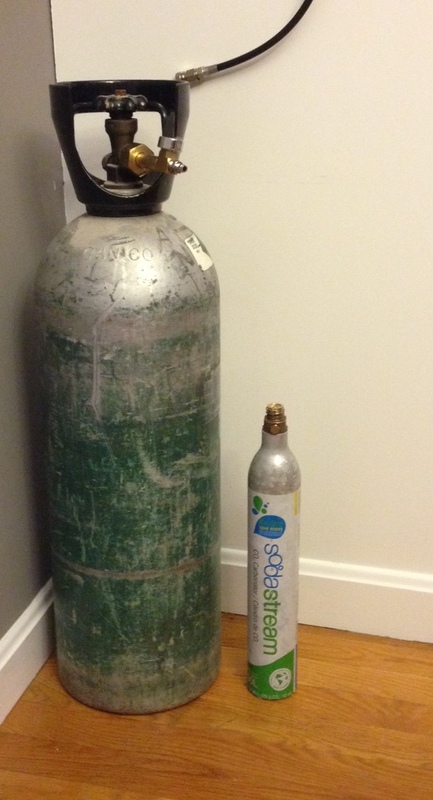 what is pressure of a sodastream canister and the 20lb co2 tank? There will be a big difference. for safety put a regulator on the tank to drop the pressure on 10bar, work-pressure of the sodastream. I’d like to find a dispensing cap for my Sodastream, like the old seltzer bottles of the 40s. This would preserve the CO2 pressure. As it is, I get a glass or two that has good carbonation, but the next time I take the bottle top off, I lose more CO2 pressure. Kindred Spirit. Had given up on carbonation, expect occasionally on trips. Will now discuss with the Mrs. and hopefully implement the system you have. 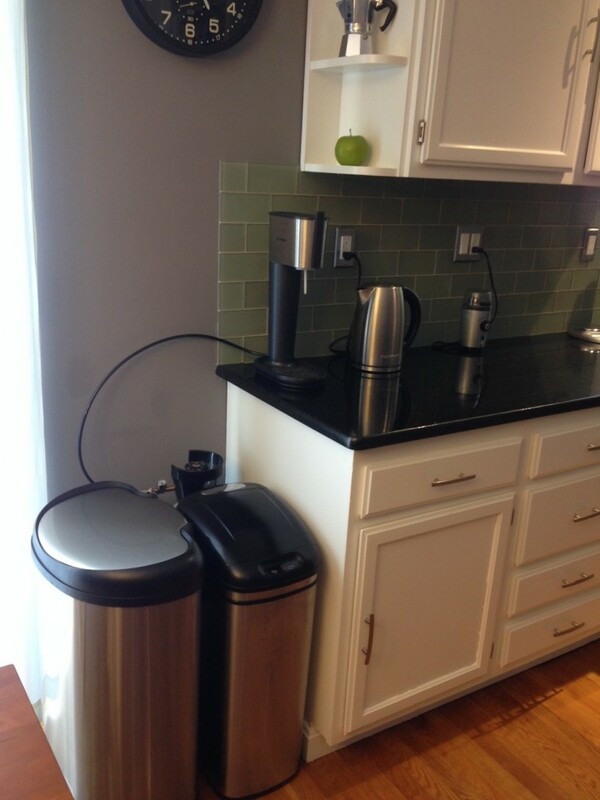 Should I check Craig’s list or opt for a new sodastream? Thank you for writing this article. Believe it or not, it is the whole impetus behind my FIRE journey. It took a while to get going, but now the bubbly water costs us pennies! Again, thank you for inspiring my FIRE journey! Can a seltzer machine be built or is the soda stream the most practical option? I could build a machine if I had instructions. Getting C02 tanks from a welding supply company is a safe, food grade option, for homemade selzer? I noticed on this article you put that refilling a 20lb canister cost $50/20lb via your local homebrew store, but in another article you said $69/20lb, which made the margins of going direct to the supplier much greater ($35/20lb). Did the homebrew store raise the price over the one year or what? So now that it’s been 4 years, how has your setzer consumption changed? Are you still able to go directly to the welder? Has SodaStream changed the design of their product, business model or legal agreements in anyway that makes performing these modifications dramatically different? Hi, your link for the adapter, hose and guage for Amazon doesn’t work. I took the cap of my Sodastream canister when it was empty and have a hose with a quick connect to my 10lb co2 tank. What I really need is the connector that links the sodastream brass piece to the hose. I have asked at many places and they don’t carry them. Please could you update the link or give me the exact specs of that connector. Thank you. Hi! We’ve found similar adaptor kits on ebay here. I’m having a problem that I hope you can help me with! I have an electric Sodastream and I think it’s causing me problems with my new 20lb tank. When I activate it, the CO2 keeps going and going and I have to shut the valve on the tank to stop it or it’ll spray everywhere out the top of the bottle! Do the big tanks only work with the manual versions? I can’t think of a reason why it shouldn’t work with my electric, but it certainly isn’t! I reread your guide and it said to get a non-siphon tank. Maybe that’s the problem? What’s a siphon tank look like or how does it differ? Have you experimented with creating flavored seltzer water similar to the type La Croix makes and sells? Just curious how you would go about doing that? We have not. We like plain seltzer, but I know that there are ways to flavor it via the Sodastream. I’ve been using a brand spanking new 5 gal co2 with the conversion to a soda stream Penguin for about 10 months. Had a difficult time findng places to fill, but finally found a beverage store that filled my bottle from a very large co2 tank using lots of teflon tape to seal the connection. It was in a dark and dank back room that looked like a good place for female cats to have their kittens. All went well, however, and I was ready for another refill in about 5 months. I was apprehensive about going for another fill at the beverage store dungeon ….too many unknowns. All the gas refill places wanted a deposit to take my nice new co2 tank away forever in place of one of their well used tanks from other customers who signed up for this trade in scheme. I finally found a Fire Department who sold Fireman supplies in a separate little store next to the garage. It was well appointed, clean and some interesting things like cleats, ropes, boots etc. When asked, they told me their co2 was food grade, no worries. All went well. I was happy for a few months with my continued home seltzer set-up. Then I noticed after filling four bottles one day, one of them didn’t sound right. The sound was much noisier and the water foamed up and out of the bottle. It tasted metalic. The other 3 bottles were ok. After that all went well again. Today, 5 months after the second Fire Station refill, all bottles over fizzed and had the metalic taste. Any thoughts?? where is the step where you connect the hose to the sodastream side? You show pictures but it doesn’t explain that process. I have a Dynamo DS5001 of which takes the large refills 130l bottles. My family loves the “dubbies” (that’s what my young children call it – couldn’t say bubbles so the name stuck) but the cost of making two bottles per day has become expensive from a replacement cartridge perspective. We get our current replacements at OfficeMax here in Minnesota and it’s totally hit or miss if they even have my replacement bottle in stock. So, could someone direct me to the correct adapter via ebay, and which large bottle I should be getting it’s air CO2 or something different as I don’t want to have people getting a metallic taste. I’ve seen many folks getting these things and complaining about that….I want to avoid that….